The signature divan bed offers a mattress of a higher quality than would be expected from Bedmaster as like all they are aiming to offer beter & better products. 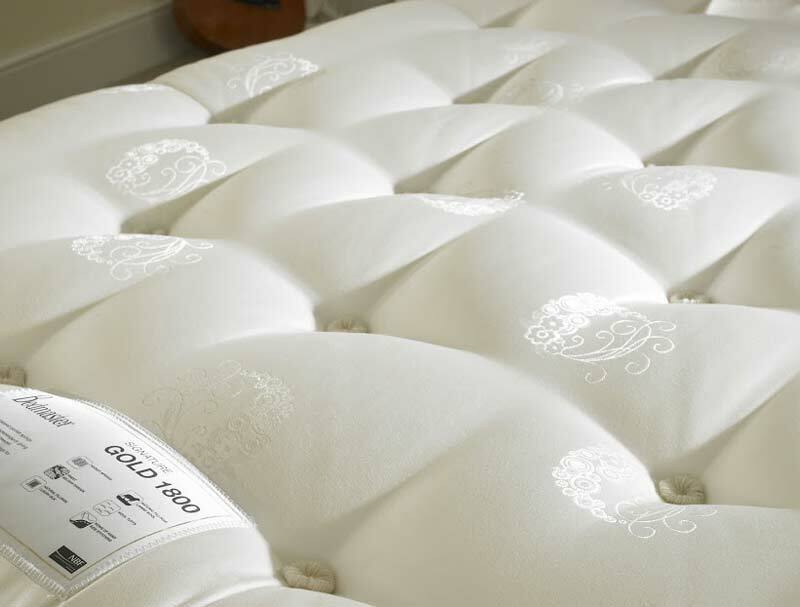 The signature gold contains 1800 nested pocket springs in a standard king size mattress along with layers of super fine polyester, silk and lambs wool fillings encased in a strong Belgium damask cover. 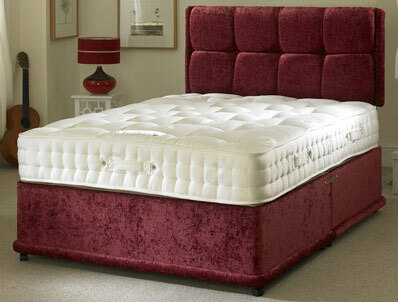 The mattress is also hand tufted and has a high lofted appearance. This medium feel mattress is fully turnable and has flag stitched handles to help with rotating , it sits on a platform top hard base which is available in a range of fabrics and comes as standard as a non drawer , optional drawers are available with a choice of 2 or 4 drawers as a upgrade. 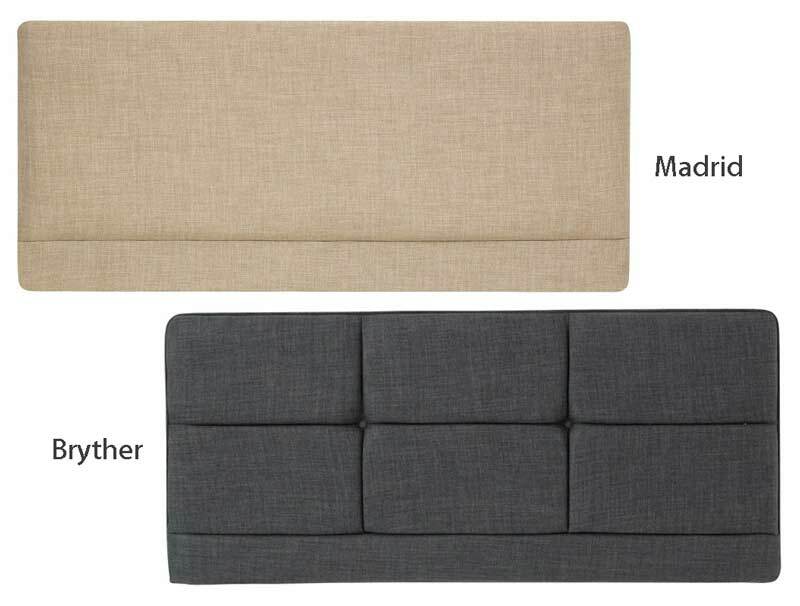 The headboard pictured is not included but the Bryher Headboard or Madrid Headboard which are shown in the small images are available as a add on if required and will be made in the same fabric as base .